Alex and Ani has been getting a ton of press lately, due in large part to the eco-friendly jewelry company’s sponsorship of the Newport Folk Festival and Jazz Festivals. 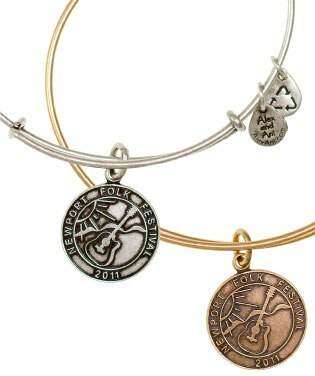 In addition to the positive energy surrounding the Alex and Ani Harbor Stage this past weekend and the jazz musicians who will grace the stage this coming weekend, Alex and Ani Charity by Design released a Live Music bangle to honor of the Newport Festival Foundation, a limited edition Newport Folk Festival bangle that symbolizes resilience, inner strength and undying love (the charm itself was attached to entry wristbands for folk festival ticket holders). Looking for something a little more nautical? 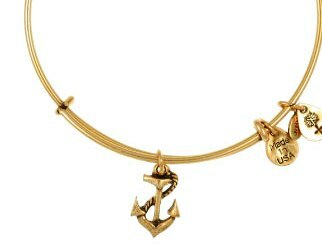 This month’s featured bangle features an anchor charm that comes in Russian gold and Russian silver. Take $5 off the original $28 price for this Newport-inspired piece that represents tranquility and hope, and encourages safety, courage and piece of mind. Entry filed under: Uncategorized. Tags: Alex and Ani, Alex and Ani bangles, Alex and Ani Charity by Design, Alex and Ani Charity by Design bangles, Alex and Ani discount code, alex and ani discounts, Alex and Ani Harbor Stage, Alex and Ani Limited Edition bangles, Alex and Ani Newport, Alex and Ani Newport Folk Festival, Alex and Ani Newport Jazz Festival, Alex and Ani promo code, Alex and Ani Russian gold bangles, Alex and Ani Russian silver bangles, Alex and Ani sale, Newport Folk Festival 2011, Newport Folk Festival charm, Newport Jazz Festival 2011. They’re totally addictive, and because they make such great gifts, all of a sudden everyone has a ton!